Waste oil is polluted with ferromagnetic impurities from wear of joints and parts of metal working machines that get into the lubrication system during operation. They are removed from the oil by magnetic filters. Magnetic filters capture ferromagnetic metal particles as small as 0.4 micron that are difficult to remove with other oil filters. 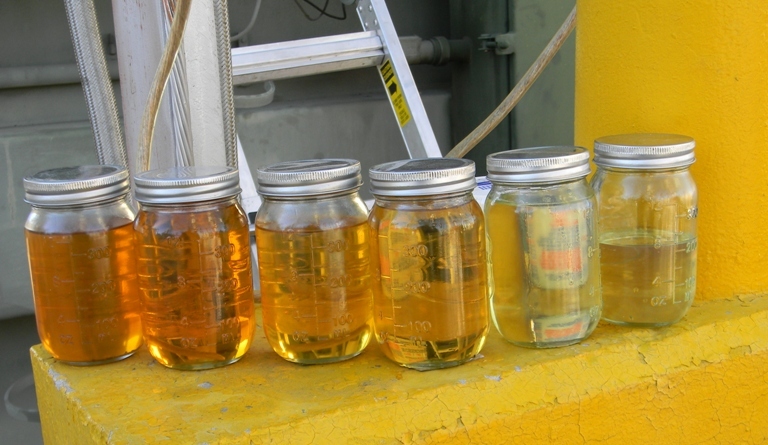 Magnetic treatment of waste oil has been poorly studied, but even so, the existing experience helps to successfully apply this method in practice. The magnetic field is created by permanent magnets that provide a higher magnetic field strength than electromagnets. The important part is to to combine the direction of oil flow with the direction of the magnetic field lines. It will maximize the effectiveness of oil cleaning process. The drawback of magnetic field is its selective filtration. It captures the diamagnetic and paramagnetic contaminants, particles aggregated with iron and steel that settle on the grid in the form of brushes and captured by the magnet, oriented along the field lines. The oil is cleaned by elastic wave field generated by oscillating filters, with coagulation of solid particles. In some cases, the use of elastic wave field destructs resin molecules and other compounds formed as a result of oil aging. This phenomenon is called ultrasonic destruction. The ultrasonic field of less than 1 W / cm2 can intensify oil cleaning process by coalescence of water microdroplets and sedimentation.